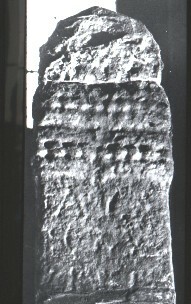 Cross shaft, called Acca's Cross. Cramp, R.J., County Durham and Northumberland. Corpus of Anglo-Saxon Stone Sculpture Series, Vol. 1 1st, Oxford University Press, Oxford (1984) Anglo-Saxons, Stone, Sculpture, England..